Wall-mounted or fully integrated into the piping system, to control air-pressure in specific areas of the hatchery. Variable speed motor designed for a specific impeller, with motor protaction switch and a choice of automatic (using Pas Reform’s HCC-P1-230) or manual control (HCC-M-230). 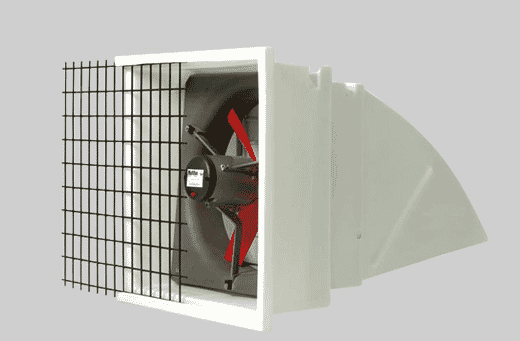 Robust, fully enclosed aluminium fan housing with integrated thermal protection. High performance lubricant withstands temperatures up to 155°C. Wall mounted version supplied with housing. Pipe integrated versions include roof mounted pipe, with option for 3 meter pipe extension.